The combination of climate change and last year’s El Niño phenomenon likely created the perfect playground for the Zika virus to spread rapidly across South America, a new study finds. Both the Zika virus and the mosquitoes that carry it have been present in different parts of the world for a while. But several factors, including specific climatic conditions, could have catapulted the disease to public health emergency status, according to researchers from the University of Liverpool. “There’s a window of temperature that’s ideal, and when you look at 2015, the numbers were in the right range,” said Cyril Caminade, research associate with the university’s Institute of Infection and Global Health and author of the study. Caminade added that the climate was only one of the factors that contributed to helping spread the disease — but it was a significant piece of the puzzle. [+] Between February and May in 2015, nearly 7,000 cases of illness with skin rash were reported in northeastern Brazilian states. At that point, Zika was not suspected, and no tests for the virus were carried out. By February 2016, the World Health Organization declared that the recent association of Zika infection with clusters of microcephaly and other neurological disorders constituted a public health emergency of international concern. Map courtesy of WHO. “It’s a combination of things. First, the introduction of the virus, which we think happened in 2013. On top of that, these are populations who haven’t been exposed to this particular virus before, so they were completely naive to it. This pathogen was also particularly virulent. And two years after it was introduced, you have the perfect climatic conditions for it to spread,” he said. The study published in the Proceedings of the National Academy of Sciences finds that the risk of transmission of Zika in South America was at its highest in 65 years in 2015. That’s largely because mosquito-borne diseases can be extremely sensitive to climate. 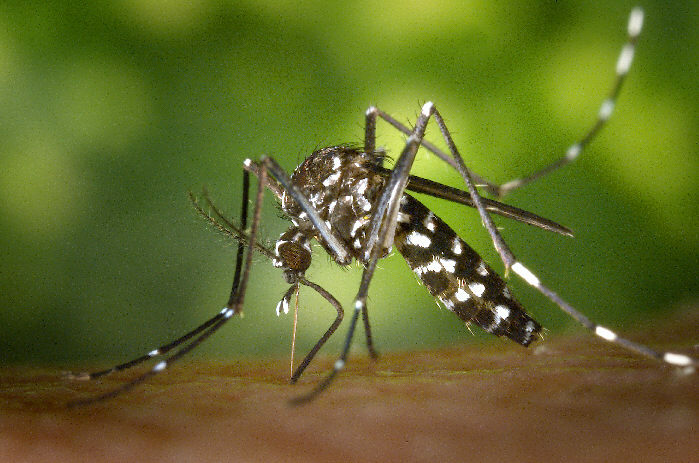 Shifts in rainfall and temperature patterns can change mosquito populations; moreover, changes in temperature can also make mosquitoes more likely to transmit diseases through biting. Given those factors, the report states that it’s “very likely” the Zika outbreak was fueled by the El Niño event — especially since the El Niño occurred against the backdrop of steadily rising temperatures in the region. “There have already been concerns that the tropical Pacific is getting warmer and warmer. And on top of that, we have a warm event like the El Niño — which is basically a massive movement of warm temperature from east to west,” said Caminade. The findings are consistent with previous associations drawn between climate and another vector-borne disease: dengue. While dengue is a seasonal disease, peaking during the same time every year, data indicate that the largest epidemics coincide with strong El Niño years, said Jonathan Patz, director of the Global Health Institute at the University of Wisconsin, Madison. Better understanding of these risks could have implications at the policy level, as well, he added; for instance, highlighting the need to spread awareness among local communities and reduce sites for mosquitoes to breed. “It could also help the funding of mosquito surveillance programs, where you actually start to track infected mosquitoes. Besides, if we know that extreme temperatures are a contributing factor to the disease, there can be better early warning and response planned around climate forecasting,” said Patz. The findings of the study also serve as a cautionary tale, said Anthony Janetos, professor and director of the Frederick S. Pardee Center for the Study of the Longer-Range Future at Boston University, because, due to factors like international travel and loss of habitat, there are many more opportunities for people to come into contact with new diseases. “[In this case], climatic variability essentially supercharged the transmission, and that got a lot more people exposed. You don’t know how many other situations like that might be out there — where there’s a disease circulating at low level, but has parts of its life cycle that are sensitive to climate and could get boosted if the climate changes,” he said.